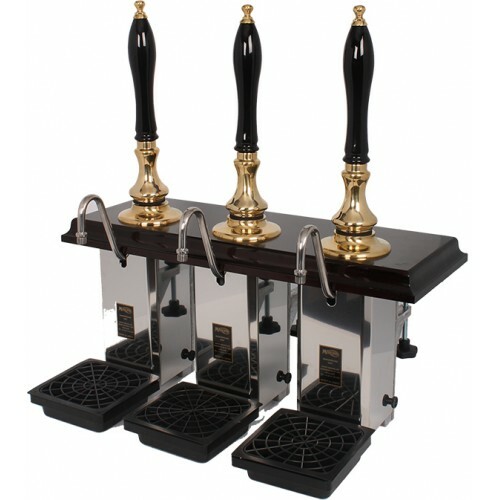 The pump or beer engine is a traditional feature for English pubs.Contrary to keg beer, no additional pressure is used to dispense beer, so either a pump should be used or gravity dispense. Thus no additional CO2 is dissolved in the ale, except the natural one from the fermentation process and the beer is much smoother to drink. The star at the bar is a classic triple Pullman Beer Engine, made in England by a company with more than 200 years if experience and recommended by Cask Marque.